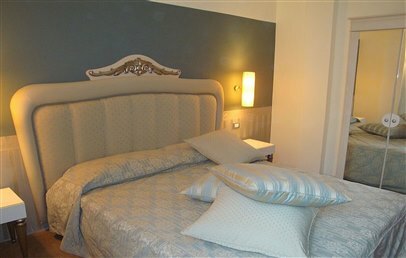 The Oriente Hotel is located in Bari close to the opera house – the Teatro Petruzzelli – in the Murattiano neighbourhood, one of the city’s historical areas and the vibrant centre of the capital of Puglia. Close by, visitors will find many points of interest and neoclassical and Renaissance buildings. The hotel is just 11 km from Bari/Palese International Airport, just a 5 minute walk from Bari’s city centre and 750 metres from the Central Station. 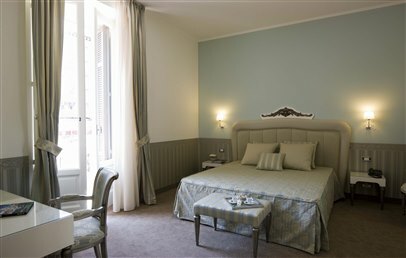 The Oriente Hotel is housed in one of Bari’s historical palazzi dating back to the early 20th century. The building recently underwent extensive renovation. The hotel has a refined and exclusive ambiance thanks to its exquisite furniture, modern comforts and panoramic view of the city which guests can enjoy from the rooftop terrace on the 6th floor. The reception at the hote is staffed round the clock and guests can enjoy wireless internet throughout the hotel. It has 75 rooms and suites and an American Bar. All rooms at the Oriente Hotel are decorated in a sophisticated yet subtle manner and offer guests all the comforts to be expected of a luxury hotel: en-suite bathroom, air conditioning, flat screen satellite TV and Wi-Fi. The hotel offers guests an outstanding breakfast served in the breakfast room or in guests’ own rooms at an additional cost. A concierge service is available to advise guests on the best restaurants in Bari. Public parking is available close to the hotel with valet service upon request and reservation. The Oriente Hotel’s multilingual staff will also be delighted to help guests with buying tickets, left luggage, laundry and ironing service, fax/photocopying, VIP service in rooms and honeymoon suite. Upon request, the hotel also hosts small animals. Located on various floors throughout the hotel, the Classic rooms are decorated with sophisticated yet subtle taste. They have an en-suite bathroom (shower, bidet, hairdryer) and all comforts to be expected of a luxury hotel: Flat-screen satellite TV, Wi-Fi and air conditioning. 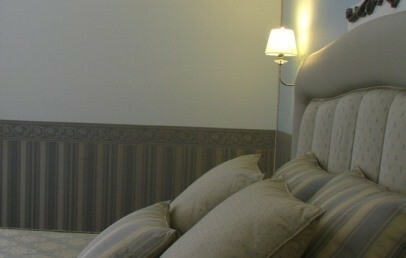 Located in a quiet area of the hotel, the Single rooms are decorated in a sophisticated yet subtle manner. They have an en-suite bathroom (shower, bidet, hairdryer) and all comforts to be expected of a luxury hotel: Flat-screen satellite TV, Wi-Fi and air conditioning. Located in a quiet area of the hotel, these rooms have a small double bed and are decorated in a sophisticated yet subtle manner. They have an en suite bathroom (shower, bidet, hairdryer) and all comforts to be expected of a luxury hotel: Flat-screen satellite TV, Wi-Fi, air conditioning. 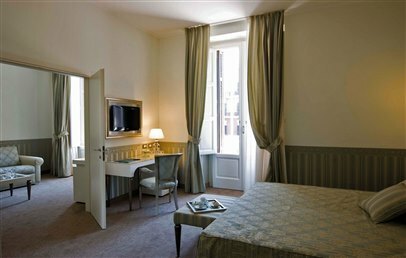 De Luxe rooms are decorated in a sophisticated yet subtle manner and offer a balcony or a large (floor to ceiling) Art Nouveau-style window overlooking Corso Cavour. They have an en suite bathroom (shower, bidet, hairdryer) and all comforts to be expected of a luxury hotel: Flat screen satellite TV, Wi-Fi and air conditioning. Junior Suites, with carpet or parquet, are decorated in a sophisticated yet subtle manner and enjoy all comforts to be expected of a luxury hotel: Flat-screen satellite TV, Wi-Fi and air conditioning. They have a living area with sofa-bed, bathroom with bathtub and shower (bidet and hairdryer) and 2 balconies overlooking Corso Cavour.